Enjoy NY yoga in New York City, Long Island, and a variety of other places throughout the state. Find New York yoga studios quickly and easily by browsing through our comprehensive guide. Beginner to Advanced Yoga in New York! Dedicated to the teachings of yoga master Sri K. Pattabhi Jois; the classes at Ashtanga Yoga New York deal with traditional yoga practices, chanting, study of yogic texts, and worship. The New York yoga studio offers daily classes. For those who are new to the practice of yoga, beginners' classes are available; as well as intermediate and advanced classes. If you're intimidated by Ashtanga Yoga's reputation as being the "hard yoga," the beginners' class will help alleviate all your fears. Also, if you're looking to save money, the studio offers monthly class packages. Feel free to send an e-mail to info@ayny.org if you have any questions. Looking for Fun in Upstate NY or Maybe Buffalo? 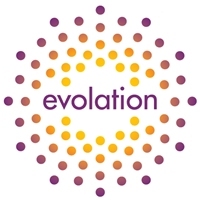 Then be sure to go to Evolation Yoga if you're interested in some yoga studio fun. They offer Hot 90 Yoga (temperature 105° for 90 minutes), Flow 75 Yoga (temperature 80° for 75 minutes), Warm 60 Yoga (temperature 90° for 60 minutes) and Chill 30 Yoga (meditation for 30 minutes). Operating hours are from Monday to Friday from 9am to 9pm; and Saturdays and Sundays from 9am to 6pm. Try Some Yoga Fun When You're at Pure Yoga! Pure Yoga offers Yoga studio classes which include Basics, Ashtanga, Anusara, Baby & Me Yoga for 2 people, Back Care, Candlelight Flow, Classical Hatha, Forest Vinyasa, Forest Yoga, Hot Ki Power Vinyasa, Hot Power Caponyasa, Hot Power Yoga, Meditation, Kundalini and many, many more. Operating hours are Monday - Friday from 6:15am to 6:30pm; Saturdays from 8am to 5:30pm; and Sundays from 8:30am to 6:30pm. Don't miss out the on the opportunity to visit New York Yoga when you're around! 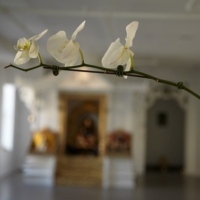 New York Yoga is a yoga studio in NY, offering Restorative, Vinyasa (Slow paced, Basic, All-levels, Open etc.) and Hot Yoga (Basic and All-levels). They service both first-time and experienced students and teachers of all levels. Their classes last from 1 to 1:30 hours. Their operating hours are Monday to Sunday from 6am to 10pm and appointments can be made by phone and email. Interested in Some Yoga Fun? Then Don't miss out on Studio Anya in Manhattan! 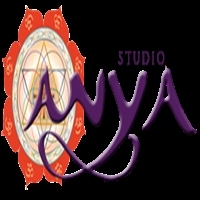 Studio Anya offers a wide range of yoga classes in NY, both group, semi-group and private. Group classes include signature: Anya, Mods, Lila, Core. Semi-group includes Reformer, Wunda Chair and Support Wall. Private: We Love Beginners, Yoga & Pilates Sessions and Thai Bodywork. Operating hours are Monday, Tuesday, Thursday and Friday from 9am to 9:30pm; Wednesdays from 8am to 9:30pm; Saturdays from 9:30am to 7pm; and Sundays from 11am to 7pm. In NY and planning to Spend some Time on Fun? If you said yes, then don't miss out on OM Factory Yoga Studios which teaches both first-time and experienced students, and teachers interested in giving their own classes. They offer AcroYoga, Aerial Silks, Aerial Vinyasa, Ashtanga, Forest Yoga, Restorative Yoga, Vinyasa Yoga and many more. Their operating hours are Monday to Friday from 7am - 9pm; Saturdays from 9:30am to 7:30pm; and Sundays from 10:30am to 7:30pm. Try one of the Leaders in all Styles of Yoga! Ever been to NY but didn't quite know what to do for fun? A recommendation is YogaWorks Union Square who has a dozen locations through-out NY, California and other states. They offer entry-level and advance student classes, teacher classes and private classes and have events through-out the entire year. Their operating hours are Monday - Thursday from 7am to 9pm; Fridays from 7am to 8am; Saturdays and Sundays from 8:30am to 7pm. Try a Class of Yoga to Try a Class of Fun! Laughing Lotus Yoga Center offers yoga classes in NY for both teaching students and teachers looking to start their career as a yoga instructor. It has a number of available classes that include Sun Celebration, Lotus Flow, Lotus Flow 1, Lotus Flow 2, Revival: Lotus Flow 2, Lotus Flow 2/3, Lotus Hour, Community Class, Lounging Lotus, Lotus Rocks and many others. Operating Hours are Monday - Friday from 7:30am to 9:30pm; and Saturday - Sunday from 9am to 8pm. Be sure to visit them if you're interested! There are many Yoga instructors in NY, many of which started by first going to classes. 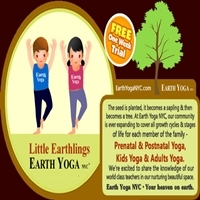 Earth YogaNYC has some of the most qualified instructors around and they offer a wide array of classes that include Hot Power Vinyasa Yoga, Kids Yoga, Adults Yoga, A Baptiste, Ki Power Vinyasa Yoga, Astanga Yoga and some more. Operating hours are Monday to Thursday from 7:15am to 7:45pm; Fridays from 7:15am to 5pm; and Saturdays and Sundays from 10am to 12pm. Looking for Some Yoga Fun? Try Yoga Classes at Reflections Yoga! Reflections Yoga offers Yoga classes to all degrees of students, first-time, experienced and teachers looking to start their own business. They offer Bare Bone Basics, Foundations, Foundations 1, Foundations 2, Quick Fix, Reflects & Restore, Meditation, Deep Stretch, Yin Yoga, Restorative Yoga and many more. Operating hours are Monday - Friday from 11:30am to 4pm and then from 5pm to 9pm; Saturdays and Sundays from 11:30am to 7pm. Yoga Fun at Kula Yoga Project in Manhattan! Kula Yoga Project offers its yoga services to both residents of NYC and those coming for a timed stay. It's even open to first-time learners and those professionals looking to improve their skills. Operating hours are Monday from 8am to 9:30pm; Tuesday from 9am to 9:30pm; Wednesday from 8am to 9:30pm; Thursday from 9am to 8:30pm; Friday from 8am to 9:30pm; Saturday from 10am to 8pm; and Sunday from 11am to 8pm.